The Ruckus ZoneFlex R600 Indoor Wireless Access Point delivers high performing 802.11ac wireless and is competitively priced in the marketing. The R600 WiFi Access Point is maximized for servicing networks with dual-polarized attennas that are able to adapt in real time. 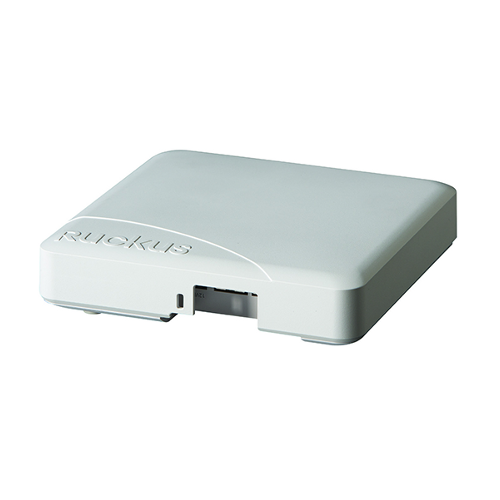 The Ruckus R600 can be dispersed as a standalone access point or included as part of a centrally managed wireless LAN with the use of a Ruckus ZoneDirector. When the Ruckus ZoneDirectors are included, the R600 will be automatically configured and allow for easy setup and configuration. The R600 WiFi AP fits a variety of medium frequency environments and hotspot environments such as SMB's, hotels and schools. Didn't find the Wireless Access Point you were looking for?